The Queen and High Fidelity director Stephen Frears will celebrate schadenfreude with Florence, a biopic about Florence Foster Jenkins, widely considered one of the worst opera singers of all time. Under ordinary circumstances, Jenkins’ voice probably wouldn’t have reached anybody other than loved ones unlucky enough to overhear her singing in the shower, but her vast inheritance allowed her to pursue a singing career spanning the first half of the 20th century. Performing mostly in small venues in New York City, Jenkins became popular among urban sophisticates who mastered the art of enjoying things ironically long before Mystery Science Theater 3000 taught the rest of us how to do it. Her life, and presumably Frears’ script, climaxed with a sold-out show at Carnegie Hall in 1944. She died a month later. 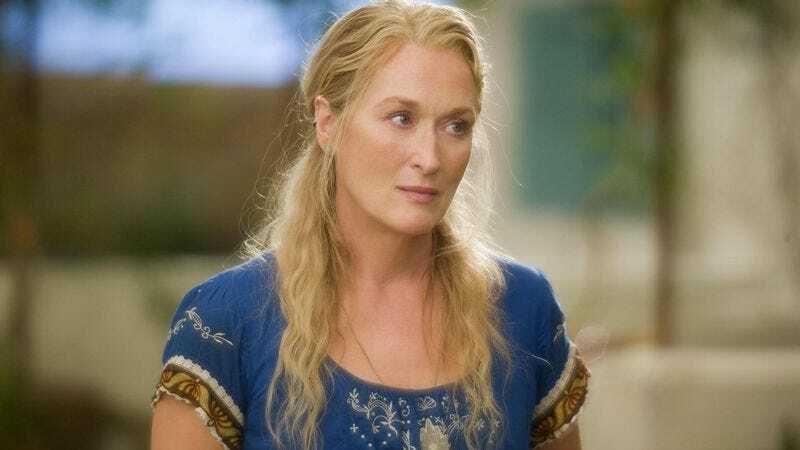 To play her, producers have hired Academy Award magnet Meryl Streep, who has some experience singing songs people can’t help enjoying even if they really should know better. Hugh Grant is in talks to play St. Clair Bayfield, Jenkins’ long-time partner and manager who was determined to protect Jenkins from figuring out just how godawful a performer she was. This news comes from Deadline, which doesn’t reveal whether the movie will be a drama or a comedy. Considering that Jenkins was reportedly very confident in her singing ability, it’ll probably be a bit of both.